CIPET JEE 2019 Application Form has been released on 18th April 2019. It is administered by the Central Institute of Plastics Engineering & Technology (CIPET). Joint Entrance Examination (JEE) is a university level entrance examination. It offers the courses in PG Diploma in Plastic Processing and Testing, Plastics Testing and Quality Management, Plastics Mould Design with CAD/CAM, Plastics Mould Technology and Plastics Technology. Candidates can check here the CIPET JEE 2019 complete details. 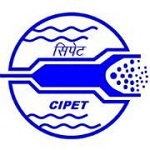 CIPET JEE 2019 Application Form has been released on 18th April 2019. Check here for application form details. CIPET JEE 2019 exam dates are given in the below table. Candidates are advised to fill the application form after reading the complete admission handbook of CIPET. CIPET JEE 2019 application form can be filled through online mode. Candidates have to register online to fill the CIPET JEE application form 2019. The application form has been started form 18th April 2019 to continues till 30th June 2019. After completing registration process, candidates have to login on the website to complete application process. Candidates have to upload the scanned images of photograph and signature along with providing personal and academic details. Candidates must take the printout of final application form which is in pdf format. Post card duly filled with complete postal address for sending acknowledgement. The application fee for General, OBC, OBC (NCL) is Rs. 750/- and for SC/ST it is Rs. 300/-. The fee for north eastern region is Rs. 100/-. Candidates can remit the application fee through online payment gateway. They can use Credit card/Debit card/Debit card + ATM Pin/Internet Banking. In case of fee submitted through DD then, the fee can be paid by Demand Draft drawn in favor of CIPET payable at Bhubaneswar. Note: The candidates of North East region can directly generate the final application form after updating personal details without payment gateway. Here, we have mentioned the eligibility criteria to appear in CIPET JEE 2019 exam. PGD-PPT Qualifying Exam: A candidate should have 3 years of Degree in Science with Chemistry as one of the subjects. Age: The maximum age to apply is 25 years. PGD-PTQM Qualifying Exam: 3 year Degree in Science with Chemistry, Physics & Mathematics subjects. Age: The maximum age is 25 years. PD-PMD with CAD/CAM Qualifying Exam: 3 year Diploma in Mechanical, Plastics Technology, Tool/Production Engineering, Mechatronics, Automobile Engineering, Tool & Die Making, DPMT/DPT (CIPET) or equivalent. Age Limit: Maximum of 25 age candidates can apply. DPMT Qualifying Exam: Candidate must pass the 10th class with Mathematics, Science and English subjects. Age: Maximum age will be 20 years. DPT Qualifying Exam: Candidate must pass the 10th class with Mathematics, Science and English subjects. Note: there is a 5 years of age relaxation for SC/ST and candidates from North Eastern Region. No of Questions: 60 questions will be asked in the exam. Duration of Exam: 1hours will be provided for whole exam. Subjects: As per the entry qualification and GK. The syllabus will be comprised of on the basis of course applied for followed by the previous examination. The general Knowledge questions will be asked for all courses. Candidates should study the topics as per the qualification on which basis they have applied. Must study the complete syllabus given for the examination. Always follow the proper time table for any exam preparation. Do not skip any topic of the syllabus. The hall ticket will be generated to the candidates those have registered and successfully paid the examination fee. Without having the valid admit card, no candidate will be allowed to sit in the exam. The CIPET JEE admit card will be made available through online mode only. Candidates can download their admit card from 26th June 2019. Candidates must check the details printed on the admit card are correct not like date of exam, course code, exam centre, name of the candidate, signature and photograph. Candidates those have successfully appeared in the entrance exam can get the result through online mode. Candidates can view their result by entering the CIPET JEE register number. Candidates can view their CIPET JEE result in the second week of July 2019. The authority will provide the admissions on the basis of candidate’s performance in the entrance exam and academic records. The admission authority will release the admission allotment letter on 17th July 2019. The candidates those will not accept the allotment of admission within the stipulated time indicated in the call letter, their admission will be cancelled. Candidates have to bring their original and self attested photocopies of all documents for the CIPET JEE counselling and for getting final admission. If you have any other queries about CIPET JEE 2019, you can write your queries in the comment box given below. When will be form filling for CIPET JEE 2019 start. I am neetish kumar,I have completed I.sc.Now i am 21 year old.May I eligiliable for entrance exam cipet jee.I want to do DPMT/DPT. Somewhere showing age bar limit only 20 year old candidate appear that Exam. You are not eligible to apply as the maximum age limit for DPMT/DPT is 20 years. I want to start small scale plastic recycling business.but I dont have enough knowledge about plastic recycling project.so please tell me about any correspondence diploma course related with plastic recycling industry.because it’s quite impossible to learn in regular batch.so please help me.thanks. IAm done b.sc maths,physics,cs and my age now 21 which course I would be done in that stream pls sir tell me? and fees for OBC for my course. For SC & St students in DPMT what is semester fee? I am searching for handbooks of PGT-PPT subjects. Please tell me the name of publishers. iam graduated in physics.Am i eligible for apply PGD-PTQM?